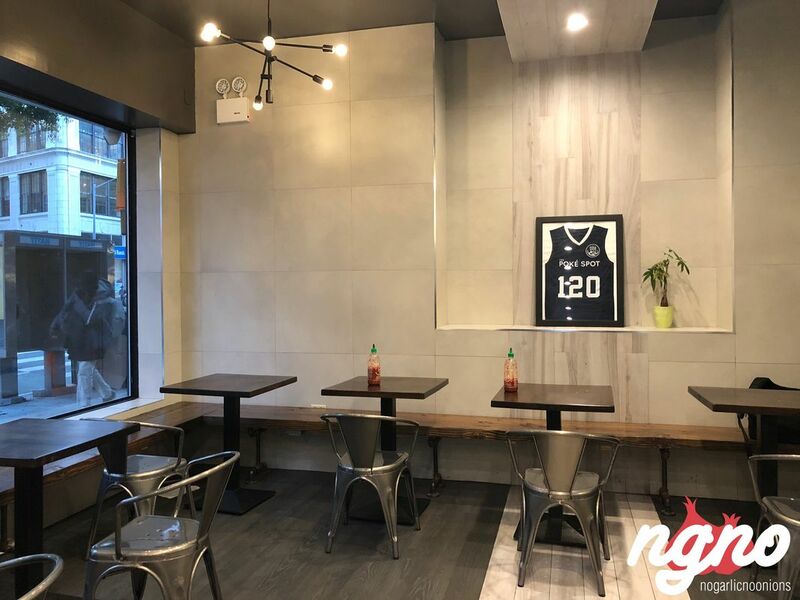 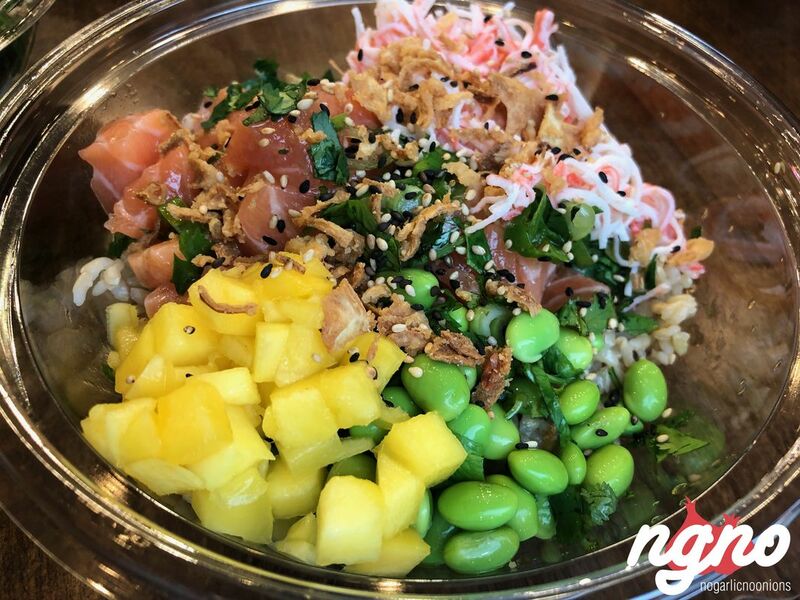 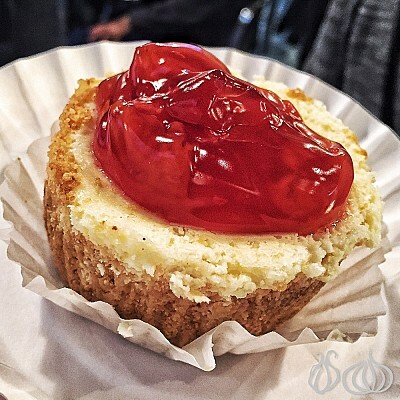 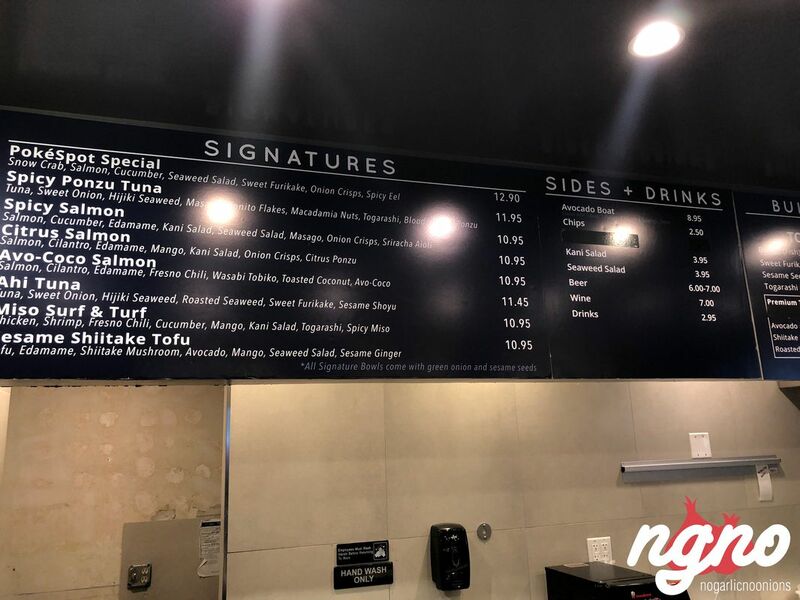 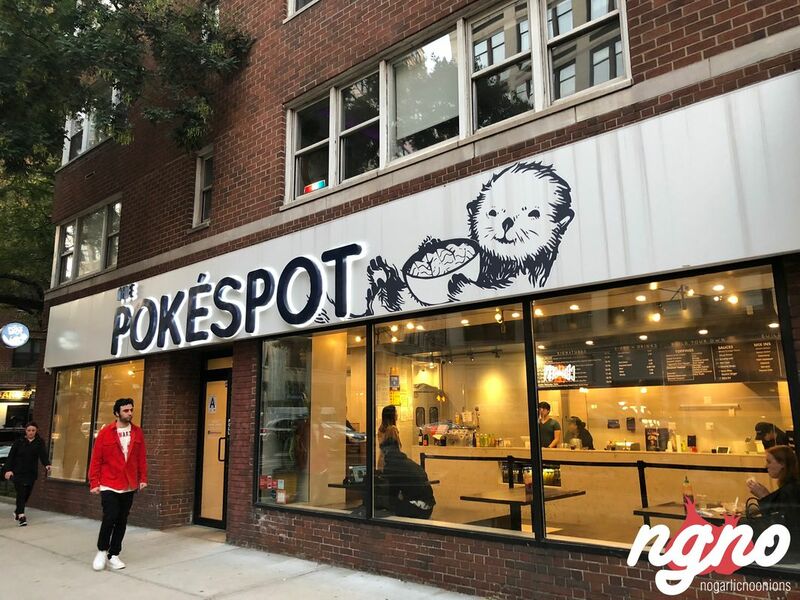 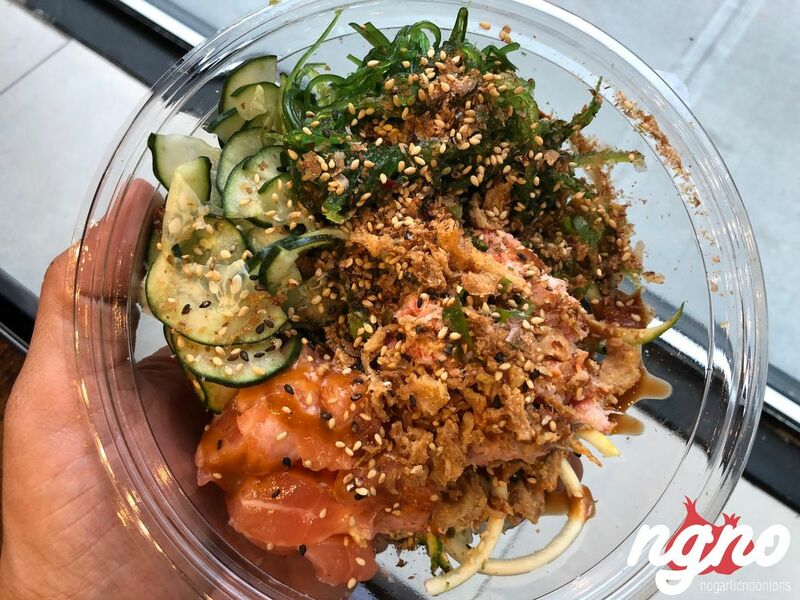 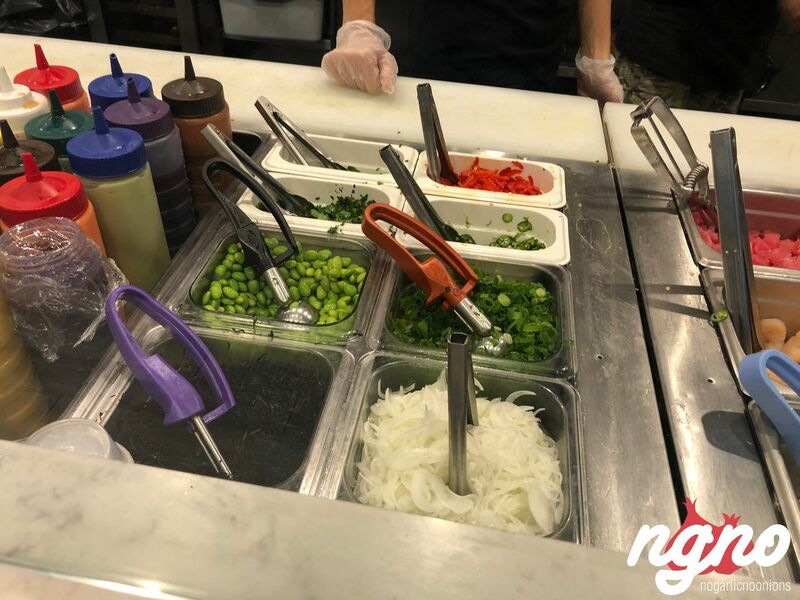 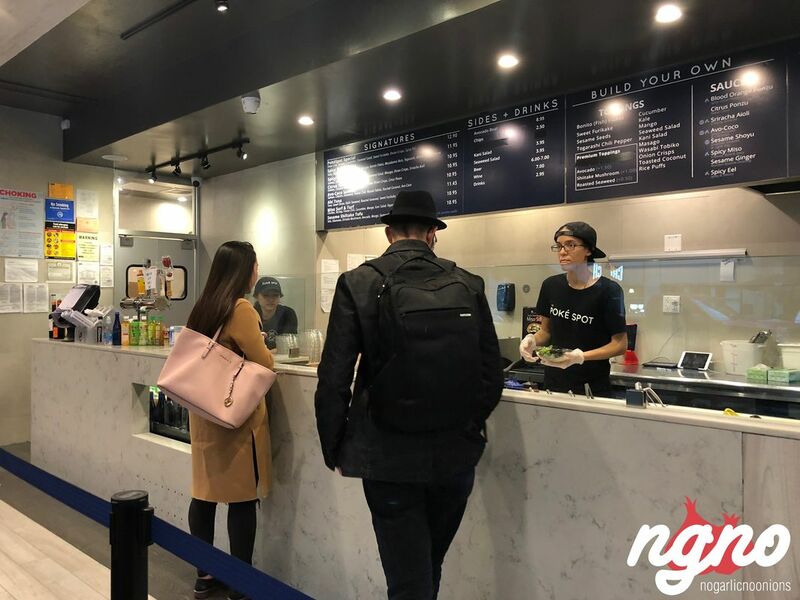 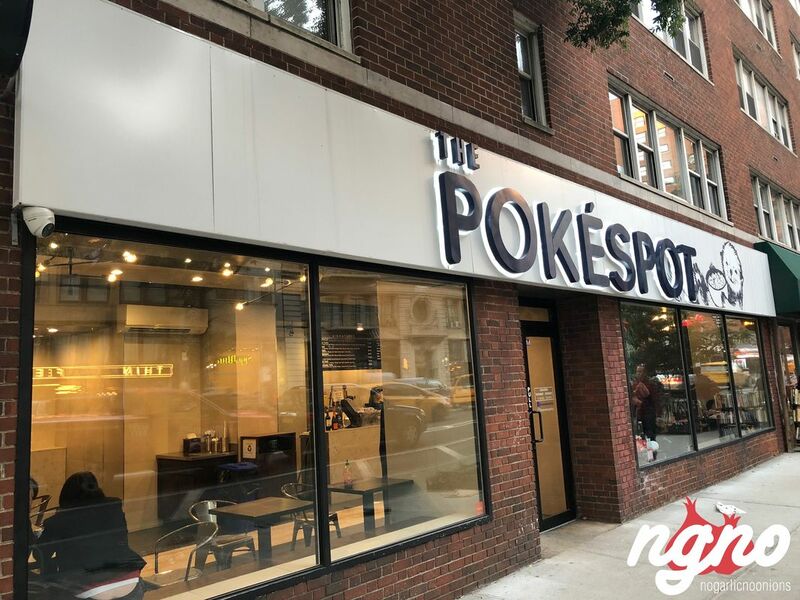 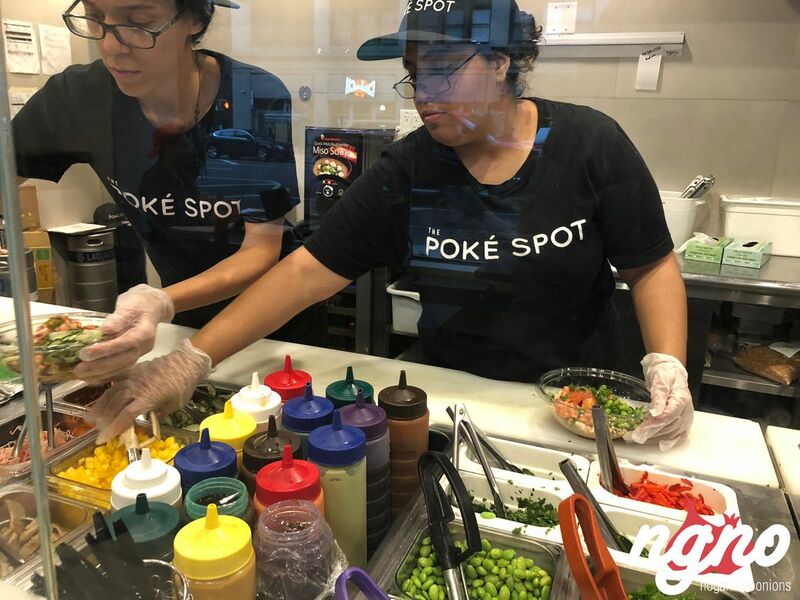 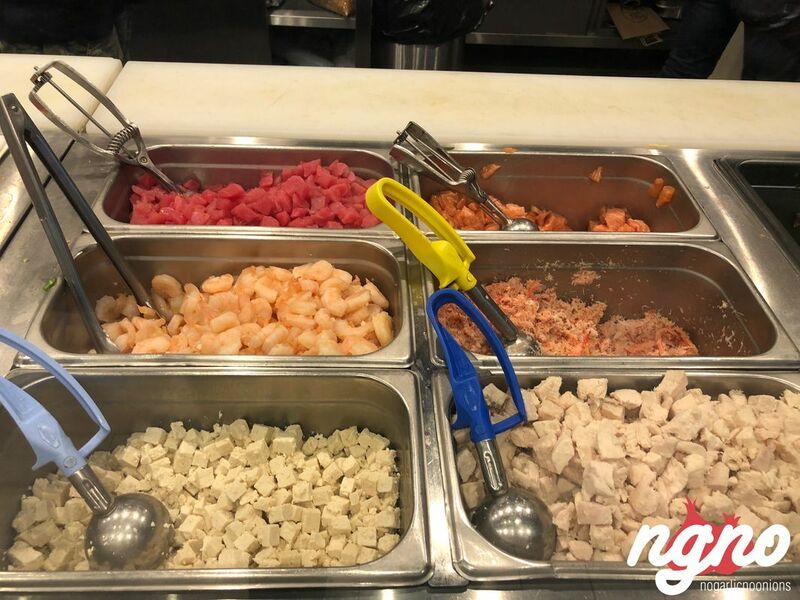 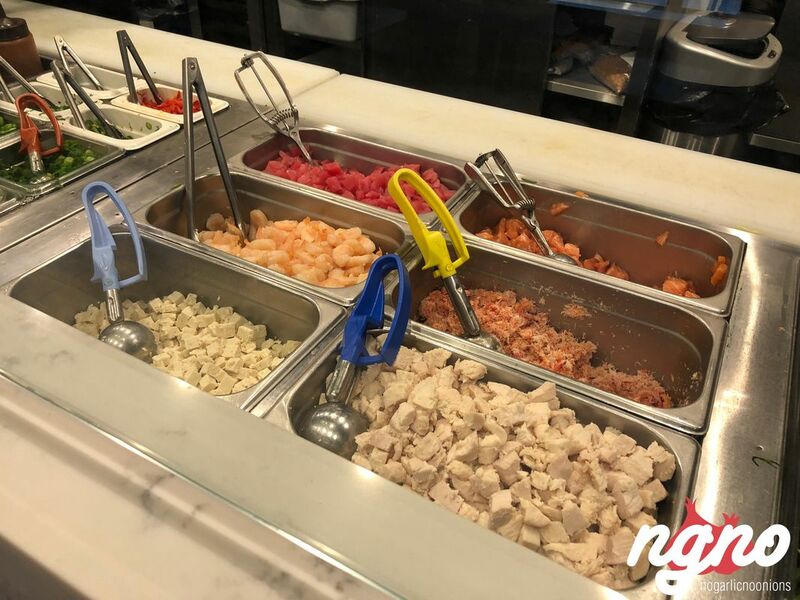 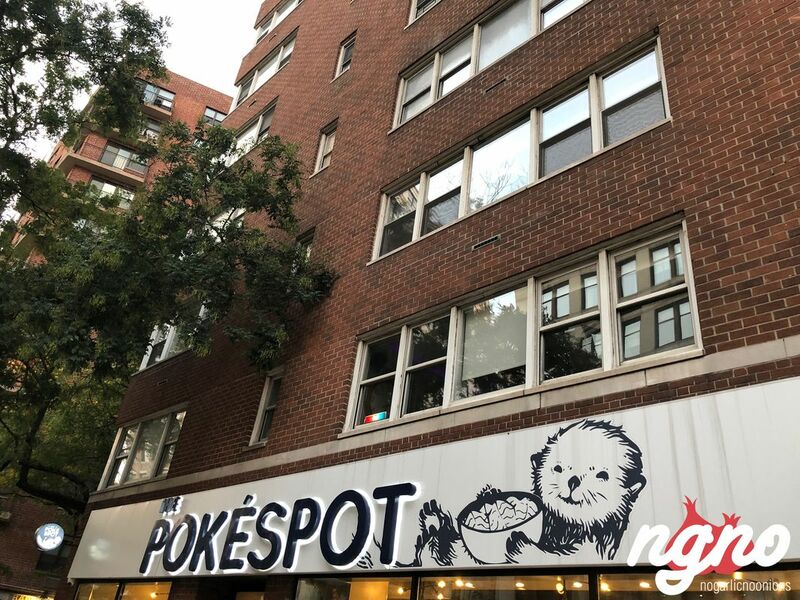 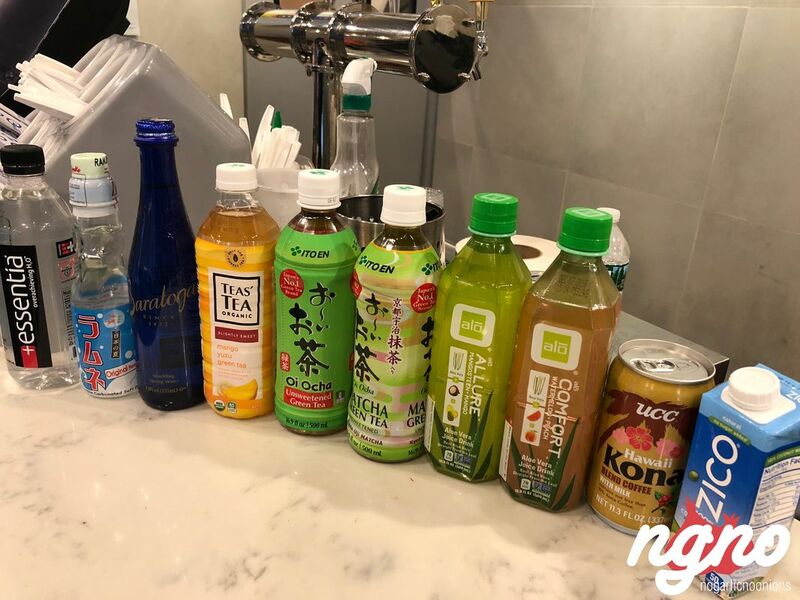 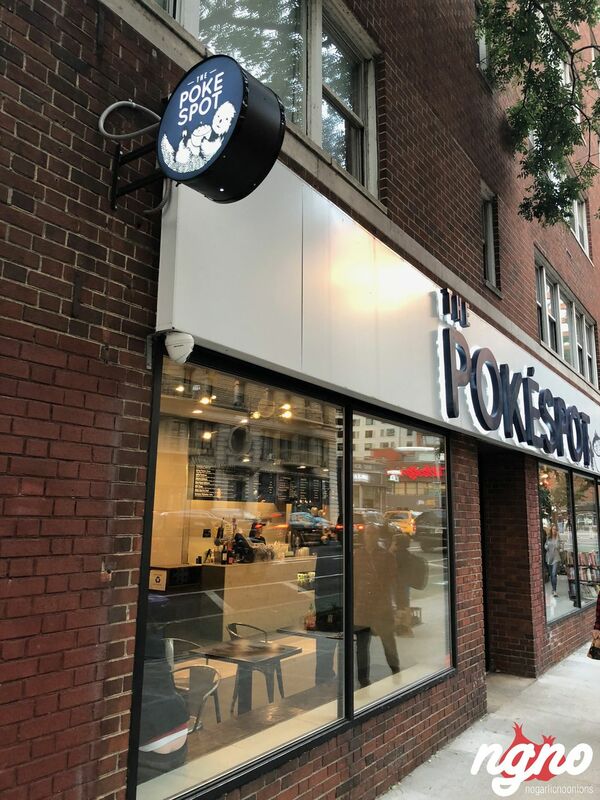 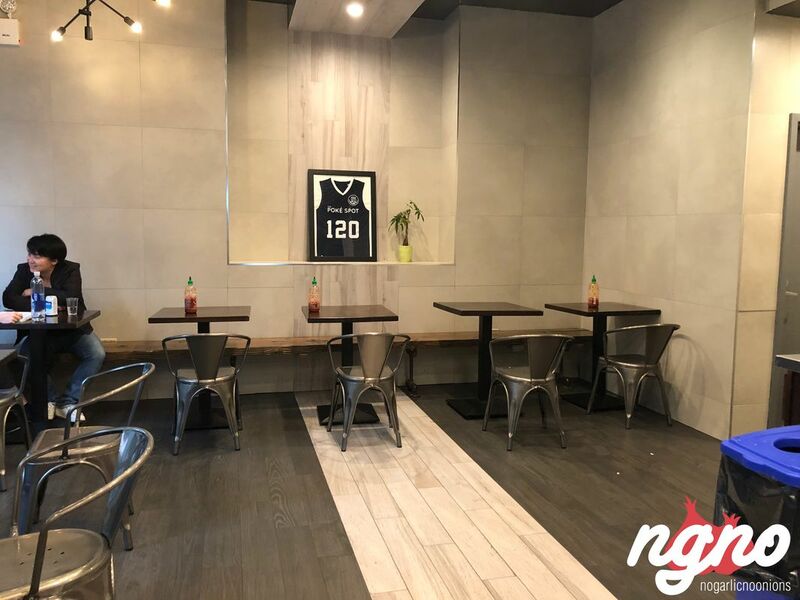 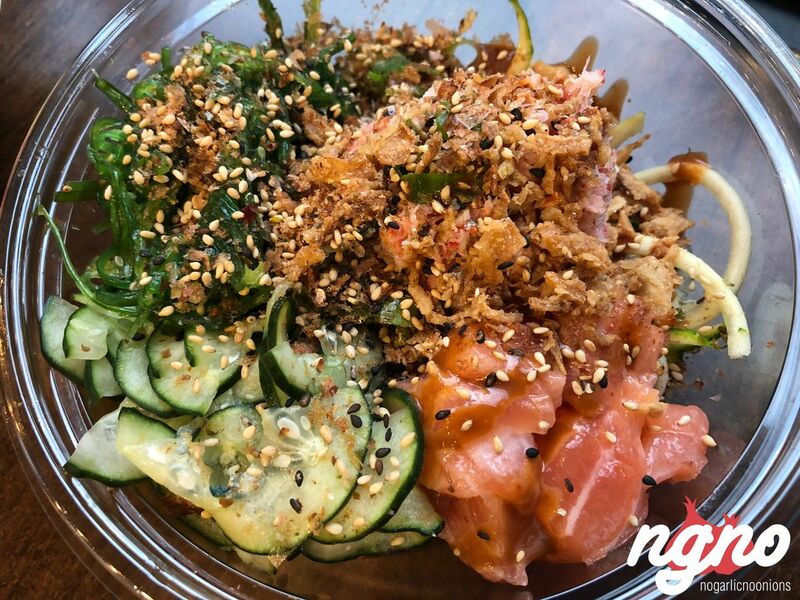 Newly opened, the Poke Spot is a trendy destination near union square New York. 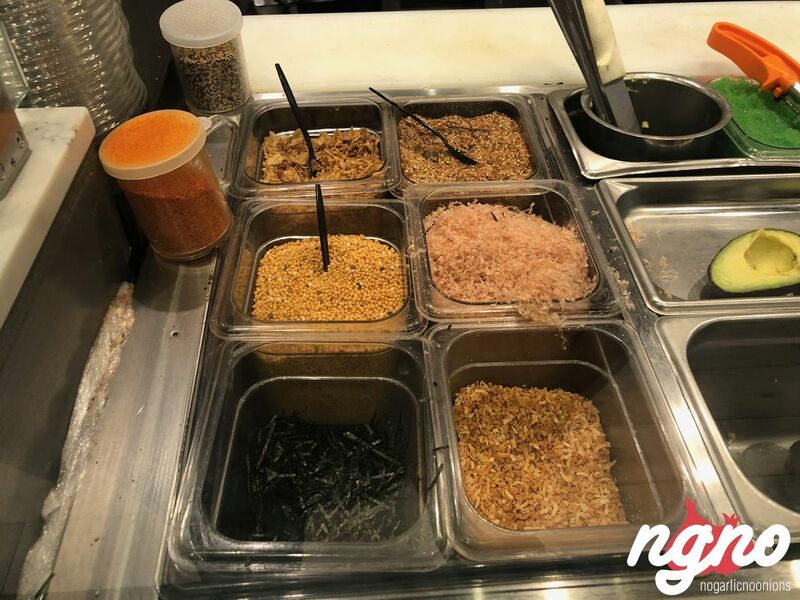 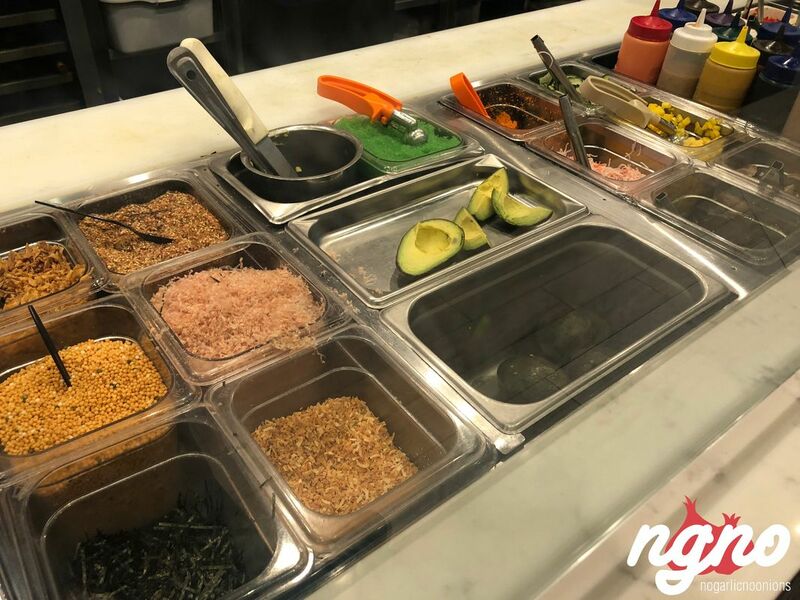 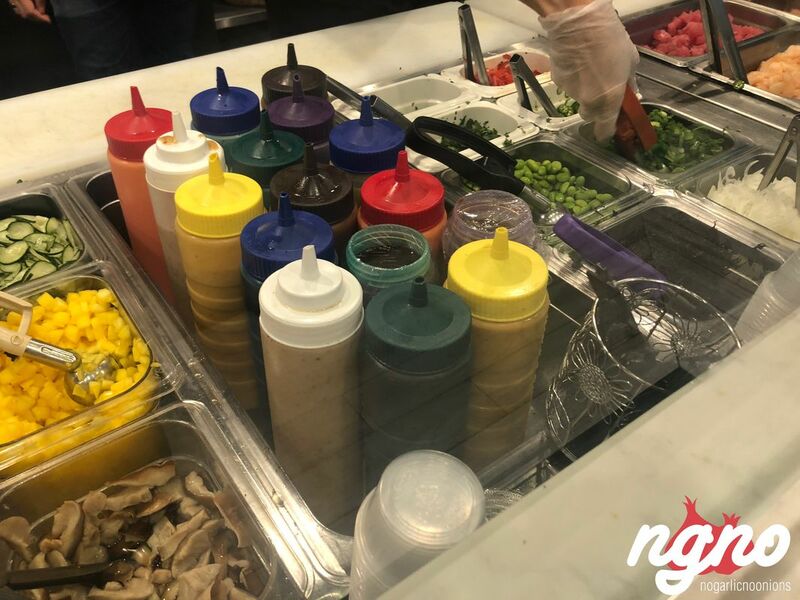 Choose your base: brown rice, lettuce, white rice or zucchini spaghetti then add further ingredients to your liking or take one of the pre-prepared bowls. 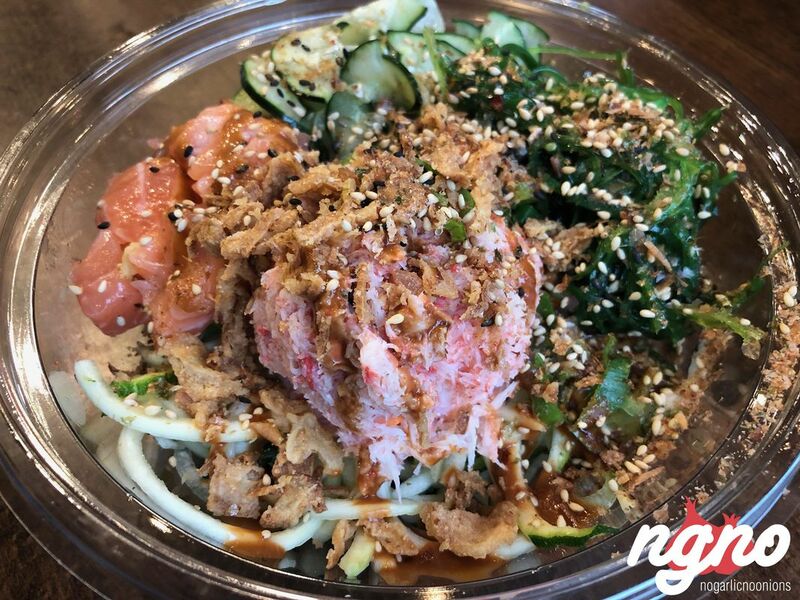 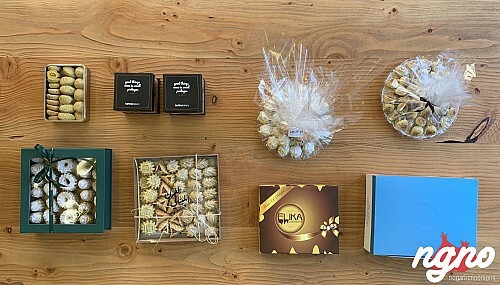 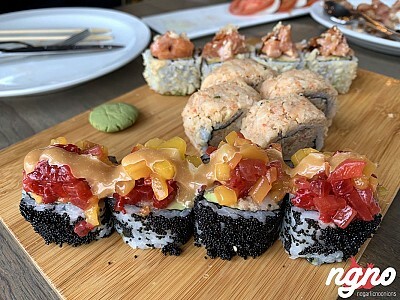 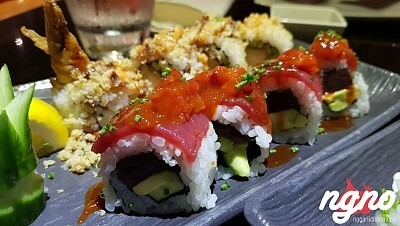 Salmon, tuna or crab, they have something for everyone. 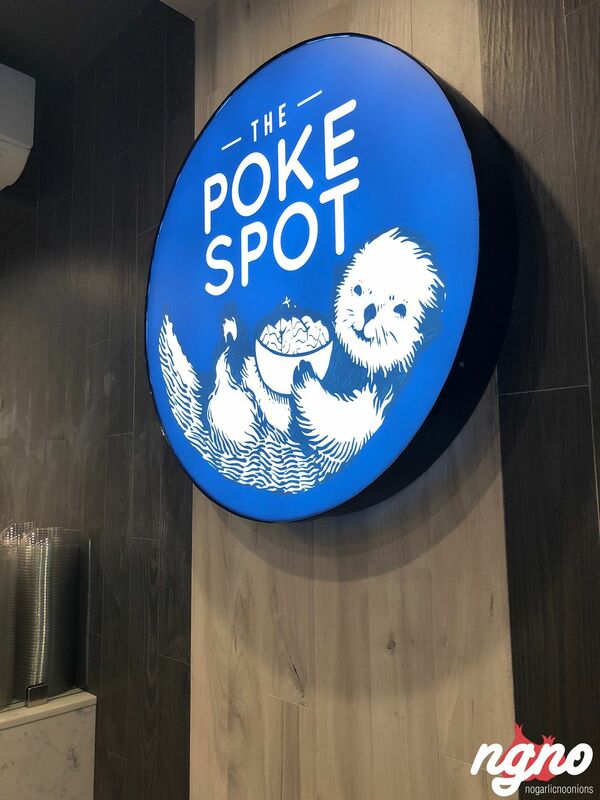 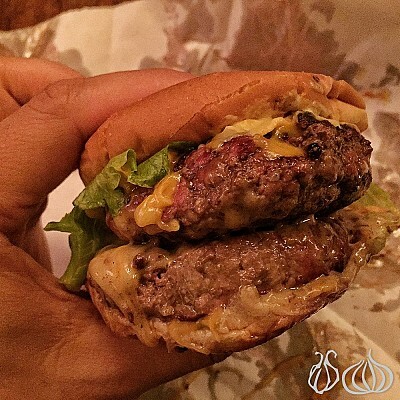 The place is big, well lit, but unfortunately dirty. 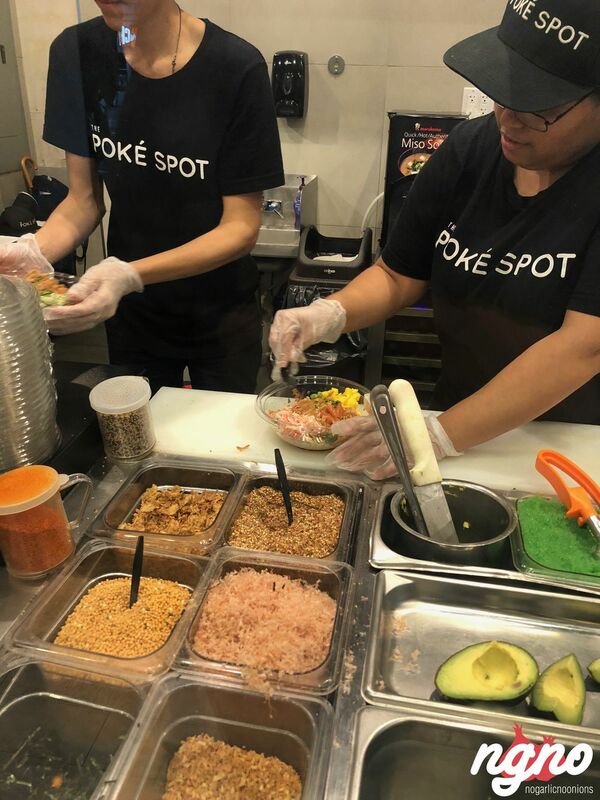 Three girls working behind the counter prepare your bowls, you grab it, pay and go. 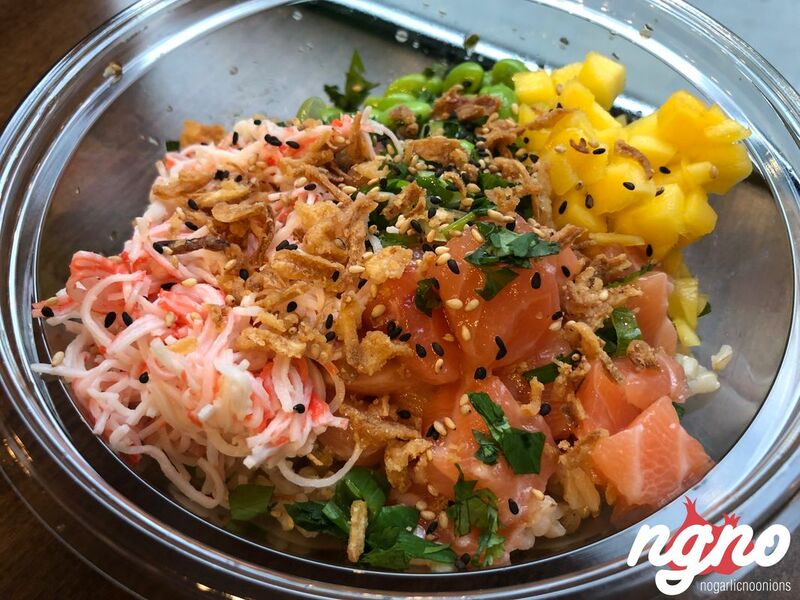 I prefer it when poke bowls are mixed together but these ones were great nevertheless! 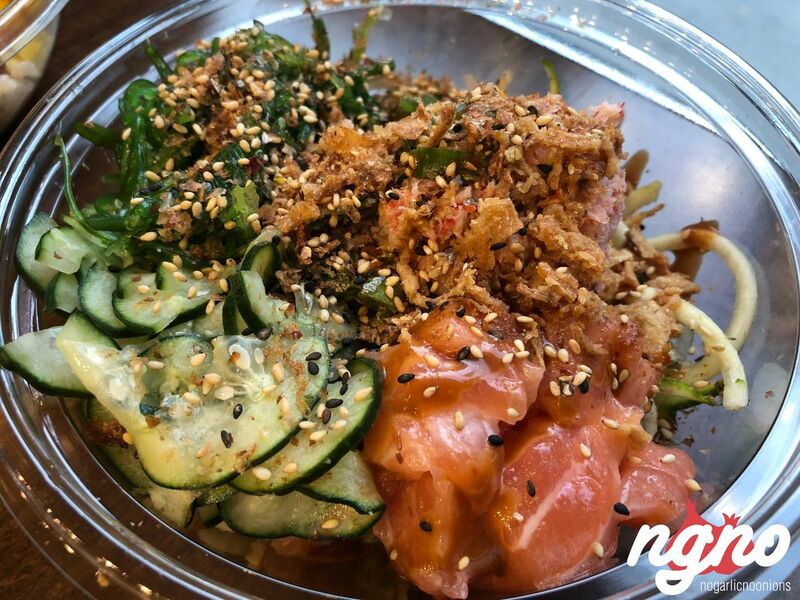 Very fresh ingredients, green onions and not the red smelly ones, crunchy cucumbers finely sliced close to being transparent, green algae, premium quality fresh crab, chunks of salmon, well-textured edamame on a bed of warm rice. 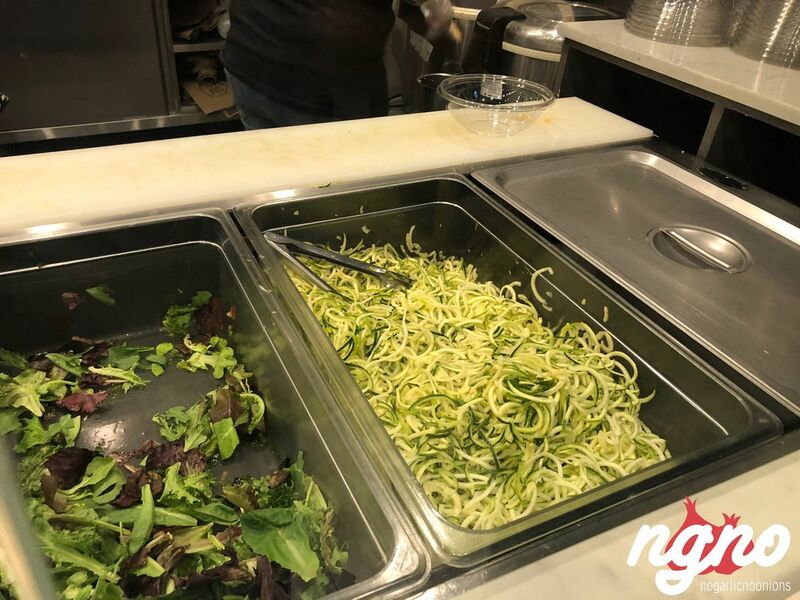 I even tried the zucchini spaghetti and loved it.